Hermanie Pierre’s journey from Haiti to Arkansas includes many roads off the beaten path. At 27, Pierre is a former Miss Haiti International, a motivational speaker, an education advocate and a civil engineer for the Arkansas State Highway & Transportation Department. At 14, Pierre moved from her childhood home of Port-Au Prince to Nashville, Tenn., to reunite with her parents. In 2010, Pierre graduated from Tennessee State University with a degree in civil engineering. Soon, she joined the AHTD as a civil engineer and quickly immersed herself in building major infrastructure projects, including a $90 million road construction project for Interstates 30 and 630. 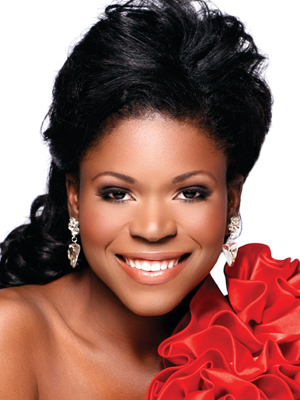 Shedding her boots and hard hat, Pierre has competed in many pageants and was named Miss Haiti International 2012. She used her crown to work on improving the education and health of children in Haiti and created a scholarship fund for Haitians. “Most people, when they think of pageant, think you’re cute on the outside. You can take that power and do something for the community,” Pierre said. Pierre represents Arkansas in the National Society of Black Engineering and also works with as a motivational speaker and as a mentor for high school students. In addition to her charitable work, Pierre aims to “get as many young people as I can get involved in civil engineering” and to advocate for science and math education.